The many versions of the AxProtector technology for different software application types offer the right protection for your specific needs. As a software developer, you want to protect your revenue stream and safeguard your intellectual property. 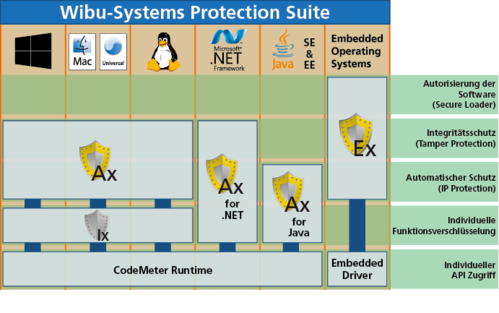 The Wibu-Systems Protection Suite is a comprehensive set of protection mechanisms for software products. The need for protection has become ubiquitous as the threats have multiplied. Payroll accounting applications in a catering business, music editing software in a recording studio, or digital grinding machines in a dental laboratory: they all need protection. There are many different threats that independent software vendors need to worry about. Every single piece of software that is sold should be used for its intended purpose, e.g. a single-user license for a basic set of features is meant to be used to this exact scope without the possibility to activate non-purchased additional modules. Licenses are the solution, but they need to be secure. License controls need to be built into the software in a tamper-proof, non-removable manner if you want to avoid the internet being flooded with instructions for circumventing your license protection or even torrents of pirated copies of your software. More and more companies today need to inject a lot of their technical know-how into the products they sell. This can be, for example, the most effective way to place individual pieces on a cutting pattern, or the secret code that allows one video editing application to process each frame more quickly than its competitors. Such intellectual property needs to be safe from the prying eyes of competitors at home and abroad. Keeping the head start for as long as possible translates into real financial gains. It is becoming increasingly common for features to not be sold on a blanket basis, but for licenses to be limited to the required modules, a specific time period, or to a defined number of uses for specific features. This even allows users on a limited budget to use the software they need – a win-win solution for license vendors and their clients. IP Protection: Automatic protection means encrypting the binary code and making it unusable for reverse engineering tools. Integrated methods to recognize such attempts while the code is running ensure that the protection cannot be undermined on the go. Integrity protection: Checking code upon launching and while running reveals whether the code has been tampered with before or during its use. If necessary, the running application can be terminated immediately. Changes to an executable file with which attackers snoop on users or deactivate built-in protection functions are easily detected. Increased security for modules: The additional encryption of individual methods gives extra protection to the intellectual property contained in them. Without the right key, no attacker can get at this know-how, and even with the right key, the information is only kept in unencrypted form for a very limited period of time. Individual licensing models: The API -includes methods for your individual -models, be it your payment models for pay-per-use applications, the use of information -contained in the license, or other -individual protection mechanisms. This gives you the right options for all requirements not -covered by the automated mechanisms. Software authorization: Limiting software to systems that were authorized for it is one of the most important requirements, in particular when working with -controller devices or other embedded systems. Different software application types need different types of protection. This is why AxProtector is the umbrella term for a versatile kit of tools for all application types. ExProtector, the dedicated protection system for embedded systems, was showcased in detail in the last KEYnote (No. 27, page 8). AxProtector guards native applications written in C++, Delphi, Cocoa, or other languages on Windows, Mac OS X, and Linux. Large parts of the binary code are encrypted, loops are realigned or replaced, security and library functions added. The resulting executable file or library is unusable for attackers. It needs the right license to be used. Additional encryption of individually defined functions, which have to be decrypted by specific API command, adds another degree of security. Called IxProtector, this method also allows you to integrate traps as a perfect weapon against would-be attackers. .NET applications consist of precompiled code that is particularly easy to decompile. AxProtector .NET extracts the contents of all protected methods and stores them as encrypted data. For the run-time, this data can be automatically decrypted and provided dynamically at the point of need. The encrypted .NET Assembly remains valid .NET code, but only includes the code bodies. Coupled with the integrated obfuscation of private and internal methods, these pieces allow very little meaningful insights into the actual functions. The situation is similar in the case of Java. There are many tools to decompile the compiled code. A particular challenge is posed by the built-in debug interfaces and the option of rebuilding the Java Virtual Machine itself. AxProtector Java can encrypt the stated classes, which are decrypted as native code for the run-time and made available for the Java Virtual Machine. Modern application servers like GlassFish or WebSphere in particular need classes to be loaded piece by piece for the available optimizations to work. IxProtector allows you to keep the class itself unencrypted, but to encrypt single, multiple, or all methods within the class, with simple settings set as annotations in the source code. The methods are then encrypted automatically for the run-time. 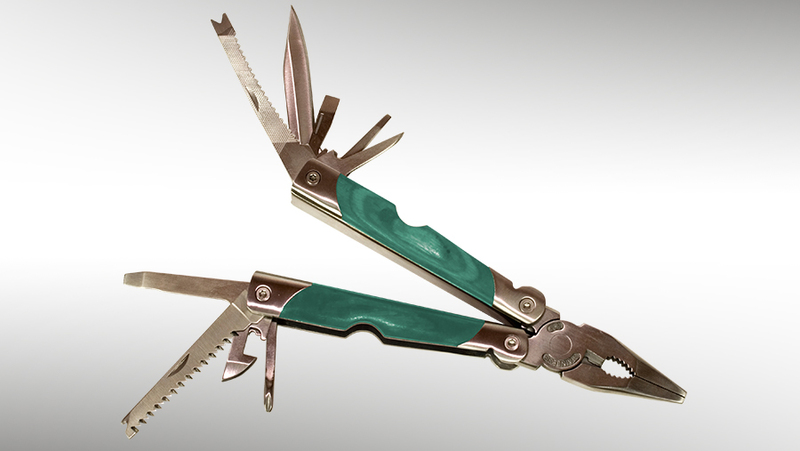 The AxProtectors for the different types of applications offer a range of appealing additional options. Be it the automatic blocking of licenses after attacks, the individual management and processing of license requests via a .dll interface, the combination of dongle or machine-based licenses, automatic time updates, or many other options: the system has the right answer for all of your requirements. A single user interface under Windows makes for comfortable work with the -different AxProtectors. The interface allows you to add significant protection against piracy, the theft of intellectual property, or tampering to your applications – requiring no special prior knowledge and only a few minutes of your time. This battery of protection mechanisms combined and the perfect coordination of all protection measures promise exceptional security, which can be improved on even further by means of individual expansions. Using this protection technology guarantees the correct usage of licenses and safeguards important competitive advantages.